PARTIES. This Agreement is made between The Filipino Channel Canada ULC (collectively “TFC”) and the private individual/s or corporations whose details are provided in the Subscription overleaf (the “Subscriber”). The Subscriber hereby acknowledges that he/she has read and understood the terms and conditions hereof (the “Terms”) and agrees that his/her signature on the Subscription overleaf constitutes its acceptance to be bound by the Terms. SET TOP BOX (STB). To enable the Subscriber to receive the signal of the Filipino-language audio-visual programming services (the “Service”) which is delivered via Internet protocol television (“IPTV”) the Subscriber shall purchase from TFC a STB at the cost and charges to be determined by TFC. The STB shall be installed by the Subscriber following directions provided by TFC and kept at the premise indicated by Subscriber (the “Subscriber Premises”). The STB shall not be moved from the Subscriber Premises without the prior written consent of TFC. WARRANTY ON STB. The STB which is supplied by TFC is warranted for twelve (12) months of normal use from date of initial activation, against defects in manufacture, provided that TFC’s entire liability for any breach of this warranty will be limited to, at TFC’s option, the repair or replacement of the defective STB. It will be repaired or replaced free of charge, at the option of TFC, if found defective within the warranty period, provided that it has not been mishandled or altered in any way. Any defects or damages found in the STB after the warranty period shall be subject to repair or replacement charges to be determined by TFC. Costs of transporting the STB to and from the offices or authorized distributors of TFC shall be borne by the Subscriber. CARE AND USE OF STB. The Subscriber shall at all times observe proper care and maintenance of the STB and shall ensure that the requirements for the STB’s use, storage and maintenance as provided in the guidelines distributed with the STB or as TFC may advise the Subscriber from time to time are properly complied with. The Subscriber shall not, under any circumstances, alter, tamper with, disassemble the STB, reproduce or allow the reproduction of any of the technology included therein, or take any other action which would constitute piracy or any infringement of the intellectual property rights of TFC or any third party, or assist in piracy or any infringement of the intellectual property rights of TFC or any third party, or other unauthorized reception of the Service. Any repair or maintenance of the STB shall be performed only by the manufacturer or by a service provider authorized by TFC to perform such maintenance. AUTHORIZED USE. The payment of the Subscription Fee entitles the Subscriber only to receive and view the Service as provided by TFC. The Subscriber shall not authorize others to receive, transmit or exhibit by any means, whether now known or hereafter devised, the Service or any part thereof. Nor shall the Subscriber record, tape, transcribe or otherwise reproduce any portion of the Service. If the Subscriber becomes aware of any unauthorized reception, transmission or exhibition by any person of the Service or any part thereof, the Subscriber shall immediately notify TFC and take all steps reasonably necessary (including all steps reasonably requested by TFC) to prevent such unauthorized use or reproduction of the Service. ASSIGNMENT / TRANSFERS. The Subscriber shall not transfer his/her subscription to any other party without the prior written approval of TFC. SUSPENSION OF ACCESS TO SERVICES. Without prejudice to its right to terminate the Agreement as provided below, TFC may cut-off the signal for the Service or otherwise suspend the Subscriber’s access to the Service, with or without notice to the Subscriber, if by reason of any act or omission directly or indirectly attributable to the Subscriber, including TFC’s inability to access, enter, and inspect the Subscriber’s Premises: a. it reasonably believes that the Subscriber is in breach of this Agreement; b. it becomes necessary to protect against unauthorized use of proprietary information or technology in the STB; c. it becomes aware that any part of the STB is lost or stolen or is being used or have been relocated outside the Subscriber Premises; d. it may be required to comply with or avert any violation of any law or regulation. EFFECTS OF SUSPENSION. If the Subscriber’s access to the Service is suspended, the Subscriber shall continue to be liable for payment of the Subscription Fee and TFC shall not reinstate that access unless TFC determines, in its sole discretion, that the circumstances giving rise to the suspension have been resolved to its satisfaction. If TFC agrees to reinstate the Subscriber’s access to the Service, the fact that such access has been interrupted during the subscription period will not postpone the date on which the subscription period is due to expire. CANCELLATION OF SERVICE/TERMINATION OF AGREEMENT. This Agreement shall be terminated, effective immediately upon occurrence of any of the following: failure of the Subscriber to pay the Subscription Fee in accordance with the payment terms as indicated in the Subscription overleaf; unauthorized transfer, lease or assignment of the STB and/or Service (or any such attempt) to a third party by the Subscriber; subscription fraud discovered after approval of the application for subscription; use of the Service for any illegal or immoral purposes, as determined by TFC; unauthorized use of the STB and/or Service, whether or not with the knowledge or consent of the Subscriber; any other breach by the Subscriber of the Terms hereof; or continued transmission or broadcast of the Service would or might subject TFC to any liability or to litigation or threatened litigation by any third party. CONTACT NUMBERS AND ADDRESSES. The Subscriber undertakes to, without delay, notify TFC directly of any change in his/her contact details provided in the Subscription overleaf. TFC shall not be responsible for any disconnections, charges, fees, etc. resulting from the Subscriber’s failure to inform TFC of such changes. LIMITATION OF LIABILITY. The Subscriber hereby (i) agrees that, notwithstanding any other provision in this Agreement, TFC shall have no liability to the Subscriber with respect to any interruption, failure or loss in the transmission or reception of the Service and (ii) waives any other right to remedy it may have against TFC as a result of any such interruption, failure or loss of signal. Further, TFC shall not be liable to the Subscriber for incidental, consequential or special damages (such as, but not limited to, loss of profits or revenues or damage to or loss of personal property) and the Subscriber hereby waives all rights which it may otherwise have or have had in respect thereof whether pursuant to this Agreement or otherwise. NO REFUND. TFC shall have no obligation to refund any paid Subscription Fees for any interruption, failure or loss of signal from force majeure including, but not limited to, acts of God, war, civil disturbance, satellite failure, riots, strikes, work stoppage, acts of terrorism, or such causes beyond the reasonable control of TFC. Neither shall TFC be obliged to refund any paid Subscription Fees upon cancellation of the Service due to the causes giving rise to TFC’s right to terminate the Agreement as provided herein. PRIVACY. Any personal information provided by the Subscriber to TFC will be used by TFC to administer the Subscription, to customize advertising sent to the Subscriber, to fulfill requests for the STB, the Service and any other products and services ordered by the Subscriber, to improve TFC’s services to the Subscriber, to conduct market research and analysis based on anonymized data and to report the results to the internal and external clients, affiliated or related companies and/or partners of TFC and to disclose the provided information in connection with the transfer by TFC of its business to any successor. 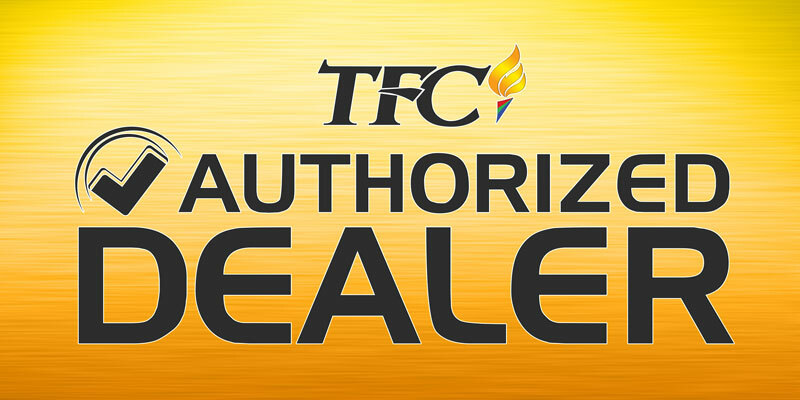 If agreed by the Subscriber on the Subscription Application Form, TFC may use the information provided in the Subscription Application Form to: inform the Subscriber about other TFC programs such as promotional offerings, new products and new services and to send newsletters and announcements to the Subscriber. INJUNCTIVE RELIEF. The Subscriber hereby acknowledges and agrees that the rights of TFC are of a special, unique and extraordinary character which gives them a particular value, for the loss of which it cannot be reasonably or adequately compensated in damages in any action at law and that a breach of this Agreement by the Subscriber will cause TFC immediate and irreparable injury and damage. The Subscriber therefore expressly agrees that, in the event of a breach or threatened breach of this Agreement or any part hereof by the Subscriber, TFC shall, at its discretion, be entitled to injunctive and other equitable relief against the Subscriber to end or prevent such breach and to secure enforcement of this Agreement. Resort to such equitable relief, however, shall not be construed as a waiver of any other rights or remedies which TFC may have for damages or otherwise. WAIVERS. No course of dealing between the parties or delay or omission on the part of either party in exercising any rights under this Agreement or under applicable law shall operate as a waiver of any such rights. A waiver by any party in any instance shall not constitute a waiver in any other instance. All remedies and rights hereunder or under applicable law shall be cumulative, and none of them shall be in limitation of any other remedy or right of either party. No waiver, amendment or modification of this Agreement shall be effective unless in writing and signed by the party against whom the waiver, amendment or modification is sought to be enforced. GOVERNING LAW. This Agreement shall be governed and construed in accordance of the laws of the Province of Ontario and the federal laws of Canada applicable therein. The parties hereto agree to submit to the jurisdiction of courts in the Province of Ontario. SEVERABILITY. Each provision of this Agreement shall be interpreted in such a manner as to be effective and valid under applicable law, but if any provision of this Agreement shall be held to be invalid under applicable law, such provision shall be ineffective to the extent of such invalidity without invalidating the remainder of such provision or the remaining provisions of this Agreement. PARTIES. Le Contrat est conclu entre The Filipino Channel Canada ULC (collectivement TFC) et un / des particulier(s) individu (s) ou sociétés, dont les coordonnées sont indiquées au verso de la Souscription (« Le Souscripteur »). Le Souscripteur reconnaît par les présentes qu’il / elle a lu et compris les termes et conditions contenues dans ce document (les « termes ») et accepte que sa signature au verso de la Souscription constitue son acceptation d’être lié par les Termes. SET TOP BOX (STB) –TERMINAL UTILISATEUR. Pour permettre au Souscripteur de recevoir le signal des services de programmation audio-visuels en Langage Philippin, (« le Service »), qui sont fournis par Télévision Protocole Internet (Internet Protocol Television « IPTV »), le Souscripteur devra acheter auprès de TFC un STB aux prix et frais déterminés par TFC . Le STB sera installé par le Souscripteur suivant les instructions fournies par TFC et sera gardé dans les lieux indiqués par le Souscripteur (« Les Locaux du Souscripteur ») Le STB ne devra pas été déplacé des locaux du Souscripteur sans l’accord écrit préalable de TFC. GARANTIE POUR LE STB. Le STB qui est fourni par TFC est garanti pour une durée de douze (12) mois, d’utilisation normale à compter de la date d’activation initiale, contre tous défauts de fabrication, étant stipulé que la responsabilité de TFC en cas de violation de cet accord de garantie, sera limitée, au choix de TFC, à la réparation ou au remplacement du STB défectueux. Il sera remplacé ou réparé sans frais au choix de TFC s’il se révèle être défectueux au cours de la période de garantie, étant stipulé qu’il n’a pas fait l’objet de manipulation défectueuse ou de modification de la part du Souscripteur. Si des défauts ou des dommages affectent le STB après la période de garantie, les réparations ou remplacements seront facturés après détermination par TFC. Les frais de transport du STB vers ou venant des bureaux de TFC ou de ses distributeurs autorisés seront supportés par le Souscripteur. ENTRETIEN ET UTILISATION DU STB. Le Souscripteur devra en tous temps prendre soin et entretenir le STB et s’assurer que toutes les conditions d’utilisation, d’entreposage et de maintenance telles que fournies par les lignes directrices remises avec le STB, ou données par TFC dans des avis aux Souscripteurs de temps à autre, sont correctement mises en oeuvre. Le Souscripteur ne devra en aucune circonstance, modifier, essayer d’ouvrir, démonter le STB, reproduire ou autoriser la reproduction de toutes technologies qu’il contient, ou entreprendre toute autre action qui constituerait une piraterie ou toute violation des droits de propriété intellectuelle de TFC ou de tiers , ou assister dans la piraterie ou toute violation des droits de propriété intellectuelle de TFC ou de tiers , ou toute autre réception non autorisée de ce service. Toute réparation, tout entretien du STB sera effectué par le fabricant ou par un fournisseur de services autorisé par TFC à effectuer cet entretien. USAGE AUTORISE. Le paiement des droits de Souscription autorise le Souscripteur et lui seul à recevoir et voir le Service fourni par TFC. Le Souscripteur ne devra pas autoriser d’autres personnes à recevoir transmettre ou présenter par tous moyens, qu’ils soient connus à ce jour ou inventés ultérieurement, le service ou partie de celui-ci. Le Souscripteur ne devra pas non plus enregistrer, sur bande ou cassette, transcrire ou reproduire par tout autre moyen une partie quelconque de ce service. Si le Souscripteur vient à avoir connaissance d’une réception, transmission ou présentation non autorisée du service ou d’une partie de celui-ci, par toute personne, le Souscripteur devra immédiatement en donner notification à TFC et mettre en oeuvre tous les moyens raisonnablement nécessaires ( y compris les moyens raisonnablement demandés par TFC), pour prévenir toute utilisation ou reproduction non autorisée du service. AFFECTATION / TRANSFERTS. Le Souscripteur ne devra pas transférer sa Souscription à toute autre partie sans l’accord écrit préalable de TFC. SUSPENSION DE L’ACCES AU SERVICE. Sans préjudice de ses droits de résilier le Contrat stipulés ci-dessous. TFC pourra interrompre le signal pour le Service ou suspendre par tout autre moyen l’accès du Souscripteur au Service, avec ou sans notification au Souscripteur, si, en raison de tout acte ou omission directement ou indirectement imputable au Souscripteur, en ce compris l’impossibilité pour TFC d’accéder aux, d’entrer dans ou d’inspecter les locaux du Souscripteur a. il croit raisonnablement que le Souscripteur a violé les règles du Contrat ; b. il devient nécessaire de protéger contre toute personne non autorisée, toute information ou technologie propriété de TFC dans le STB; c. il vient à apprendre que toute partie du STB est perdue ou volée ou a été utilisée ou a été déplacée hors des locaux du Souscripteur; d. il peut s’avérer nécessaire de réagir à ou d’éviter toute violation de toute loi ou règlement. EFFETS DE LA SUSPENSION. Si l’accès du Souscripteur au service est suspendu, le Souscripteur reste redevable du paiement des droits de Souscription et TFC ne réinstallera pas cet accès à moins que TFC ne détermine, à sa seule discrétion, que les circonstances à l’origine de la suspension ont été résolues à sa satisfaction. Si TFC accepte de rétablir l’accès au service, le fait de l’interruption du service pendant la période de Souscription ne reportera pas la date à laquelle la Souscription vient à expiration. ANNULATION DU SERVICE / RESILIATION DU CONTRAT. Ce Contrat sera résilié, avec effet immédiat, lors de la survenance d’une des situations suivantes : Défaillance du Souscripteur dans le paiement des droits de Souscription conformément aux modalités de paiement indiquées au verso de la Souscription ; transfert non autorisé, location ou affectation du STB et / ou service (ou toute tentative à cette fin) au bénéfice d’un tiers par le Souscripteur ; fraude lors de la Souscription découverte après approbation de la demande de Souscription ; utilisation du service à des fins illégales ou immorales telles que déterminées par TFC utilisation non autorisée du STB et / ou service, que ce soit ou non avec la connaissance ou le consentement du Souscripteur. toute autre violation par le Souscripteur des Termes de ce document ; transmission continue ou diffusion du service donnant ou pouvant donner lieu à mise en cause de responsabilité ou tout litige judiciaire ou menace de litige judiciaire. NUMEROS DE TELEPHONE ET ADDRESSES. Le Souscripteur s’engage à notifier sans délai directement à TFC tout changement dans ses informations de contact données au verso de la demande de Souscription. TFC ne pourra être tenu responsable de toute coupure, frais, droits, etc. qui pourront incomber au Souscripteur en raison de sa défaillance à informer TFC de ces changements. LIMITATION DE RESPONSABILITE. Le Souscripteur accepte par les présentes (i) , que, nonobstant toute autre disposition de ce Contrat, TFC ne sera en aucune manière tenu responsable envers le Souscripteur en raison de toute interruption, défaillance, ou perte de transmission ou de réception du Service et (ii) renonce à tout autre droit pour y porter remède qu’il pourrait avoir contre TFC en conséquence de cette interruption, défaillance, ou perte de signal. De plus TFC ne sera pas tenue responsable envers le Souscripteur pour tous dommages incidents, qui en seraient la conséquence ou spéciaux (tels que, mais de façon non exhaustive, pertes de profits ou de revenus ou dommages ou pertes de propriété) et le Souscripteur par les présentes renonce à tous droits qu’il peut avoir ou avoir eu par ailleurs en considération de ce qui vient d’être mentionné en application de ce Contrat ou autrement. PAS DE REMBOURSEMENT. TFC n’aura aucune obligation de rembourser tous droits de Souscription payés pour toute interruption, défaillance, ou perte de signal résultant de la force majeure, y compris, de façon non exhaustive, actes de Dieu, guerres, désordres civils, défaillance du satellite, émeutes, grèves, arrêts de travail, actes de terrorisme, ou telles autres causes au-delà du contrôle raisonnable de TFC. De même TFC ne sera jamais obligé de rembourser tous droits de Souscription payés en cas d’annulation du Service dans les cas donnant droit à TFC de résilier le Contrat tels que stipulés dans ce document. VIE PRIVEE. Toutes les informations personnelles fournies par le Souscripteur à TFC seront utilisées par TFC pour administrer la Souscription, personnaliser les informations publicitaires envoyées au Souscripteur, pour remplir les demandes de STB, de Service et autres produits et services commandés par le Souscripteur, pour améliorer les services en faveur du Souscripteur et de procéder à des études et des analyses de marché basées sur des données rendues anonymes et faire rapport des résultats à des clients internes et externes, des sociétés et ou partenaires affiliés ou en relation avec The Filipino Channel Canada ULC et de révéler les informations en relation avec le transfert de son activité par The Filipino Channel Canada ULC à un successeur. En cas d’accord du Souscripteur, sur le formulaire de demande de Souscription, TFC peut utiliser les informations fournies par le Souscripteur dans le formulaire de demande de Souscription pour informer le Souscripteur des autres programmes de The Filipino Channel Canada ULC tels que les offres promotionnelles, les nouveaux produits, et les nouveaux services et de lui envoyer des lettres d’informations commerciales. REPARATION PAR INJONCTION. Le Souscripteur reconnaît par les présentes et accepte que les droits de TFC sont d’un caractère spécial, unique et extraordinaire qui leur donne une valeur particulière, pour la perte desquels aucune compensation en dommages intérêts ne peut être envisagée raisonnablement et de façon adéquate par toute action légale et que toute violation de ce Contrat par le Souscripteur va causer à TFC un préjudice et un dommage immédiats et irréparables. Le Souscripteur accepte donc expressément par les présentes de que, en cas d’évènement de nature à constituer une violation ou menace de violation de ce Contrat ou de toute partie de celui-ci, TFC pourra à sa discrétion, avoir droit à recourir à une injonction et toute autre réparation équitable contre le Souscripteur pour mettre fin ou prévenir une telle violation, et assurer l’application de ce Contrat. Le recours à cette réparation équitable ne pourra constituer une renonciation à tous autres droits et remèdes que le TFC peut avoir pour obtenir des dommages ou autres. RENONCIATIONS. Aucune démarche de transaction entre les parties, ou délai ou omission de la part de l’une des parties dans l’exercice de ses droits dans le cadre de ce Contrat ou de tout droit applicable ne pourra être considéré comme renonciation à de tels droits. Une renonciation par l’une des parties au cours d’une instance ne constituera en aucun cas une renonciation dans une quelconque autre instance. Toutes les réparations et droits ci-inclus ou sous une législation applicable seront cumulatifs et aucun d’entre eux ne constituera une limitation de toute autre réparation ou droit de l’une ou l’autre des parties. Aucune renonciation, aucun amendement ou aucune modification de cet accord ne sera effectif sans un document écrit signé par la partie contre laquelle est recherchée la mise en application de la renonciation, de l’amendement ou de la modification. LOI APPLICABLE. Cet accord sera gouverné et interprété conformément aux lois de l’Ontario et aux lois fédérales du Canada y applicables. En conséquence les parties acceptent de se soumettre à la juridiction des Tribunaux de la Province de l’Ontario. MPORTANT: While we try to ensure uninterrupted TFCko service to all our customers, video buffering may be experienced depending on your broadband provider’s network especially during peak hours when the high volume of users often result in slower internet connection. Please call our Technical Support Hotline at 1-888-216-1671. IMPORTANT: Tandis que nous assurons un service TFCko ininterropu àtous nos clients, des interférences peuvent se produire au niveau de la vidéo qui varient selon le réseau de diffusion à large bande, principalement pendant les heures de pointe au moment où le nombre très important des utilisateurs résulte en un ralentissement des connections Internet. Pour le Support Technique, veuillez appeler 1-888-216-1671.